EVERY day around the country, thousands of dogs sit in shelters, some caged for up to 23 hours day. Without exercise or human interaction, it's a grim existence. 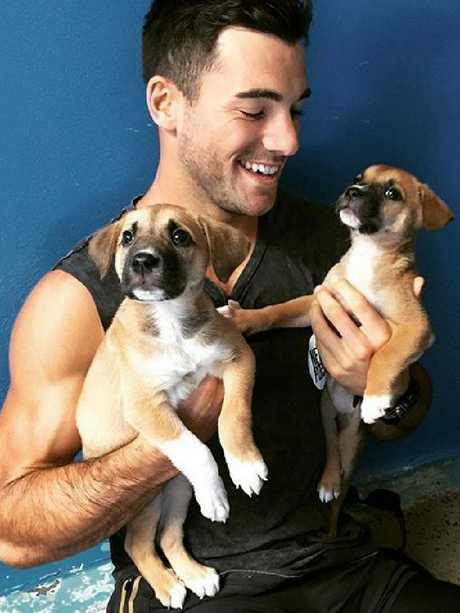 For the volunteers at Rescue Your Fitness, there's a simple solution - find people who want a walking or running mate and connect them with shelter dogs. Rescue Your Fitness was founded on that idea in 2014 by personal trainer Jason Seibert. 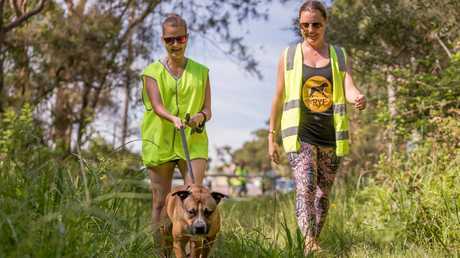 At the time, Seibert was volunteering at Gosford dogs Paws in Erina, running as many dogs as he could, but the shelter desperately needed more people to exercise the animals. He harnessed the power of social media, recruited a bunch of personal trainers and fitness influencers and held a pack run at the shelter. A video of the run went viral, everyone posted photos and a number of dogs were adopted. Rescue Your Fitness was born. 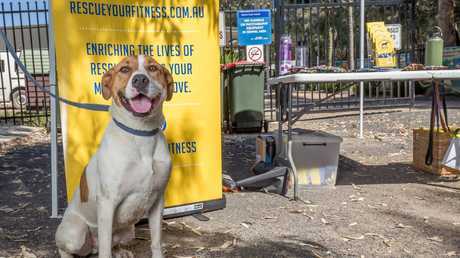 Now a registered charity, RYF is working to raise an army of volunteers around Australia to get involved with local shelters and get some exercise by running or walking a dog. From a fitness point of view, there's no better training mate - a dog in the pound will run rain or shine. And when volunteers share their experience on social media, it boosts every dog's chance of adoption. 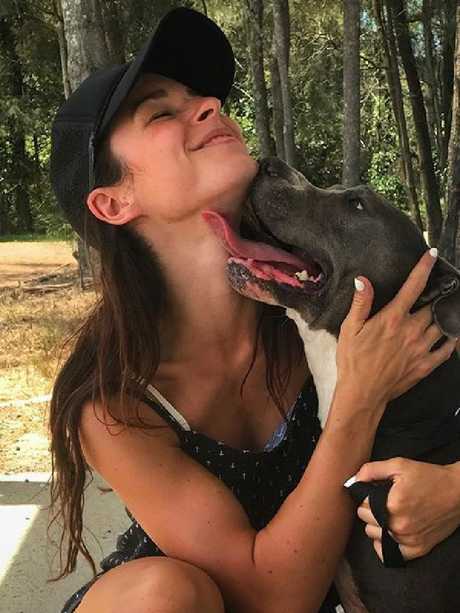 Jes Reinhard, who helps run RYF with Seibert and Eloise Stevenson and a core of volunteers and pack leaders, says the aim is to get as many eyeballs on rescue animals as possible. "While some shelters do a really good job of promoting their animals, it's an added boost when people who come along and walk the dogs, put their pictures up on Facebook and advocate for the animals," Mr Reinhard said. Mr Seibert said it wasn't just about promoting a single animal from a single organisation. "It's about promoting rescue and adoption as a whole," Mr Seibert said. "If people see smiling people with happy dogs … then people will hopefully be thinking to adopt don't shop." Animals, like humans, need to move, and when they're locked up all day, it's hard to make a good impression on potential adopters, Mr Reinhard said. "If you take them out and exercise them for 20 minutes, when you put them back they're so much calmer, and you actually get to see the personality," he said. "We had one dog Roxy who was a two year old rottweiler with SoCares (a Central Coast shelter). She'd been in the facility for maybe four months, I took her out, took some really good photos and put her up on Facebook. She was adopted within 24 hours." 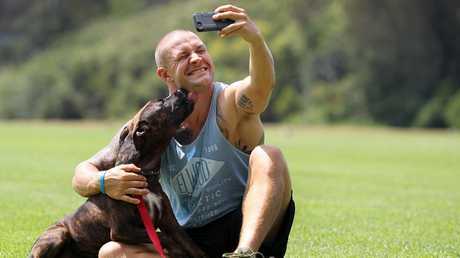 Jason Siebert and 'Sonny' the foster dog take a selfie together to help find Sonny a home. 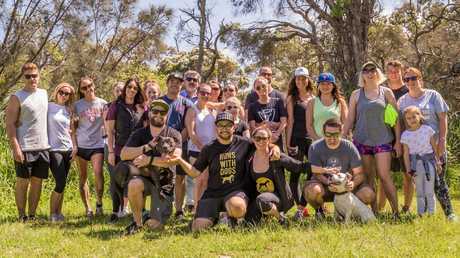 RYF organises pack runs at various shelters around the coast as a way to encourage more people to volunteer and get their exercise with a dog in need. For facilities like SoCares in Wyong and Charmhaven, it's been a welcome partnership. "It just allows dogs to have that moment of normal life," said Amanda Jones, facility officer at SoCares. "It gets them out, socialised, and it involves the community giving back so it's a win-win. "And with Rescue Your Fitness, the added element is that it's of benefit to the people and an enrichment activity for the dogs." Many shelters in NSW are struggling with the number of dogs coming into their care due to backyard breeding and abandonment. Under the Companion Animal act, dogs impounded spend 14 days in the kennel, 24/7, until they can become available for adoption. Mr Reinhard said it's stunning how many owners never reclaim their dogs, even when they're microchipped. "My opinion is people are giving up on their animals too quickly," he said. "I think it's that perception dogs are disposable or it becomes inconvenient and therefore it's not their problem. 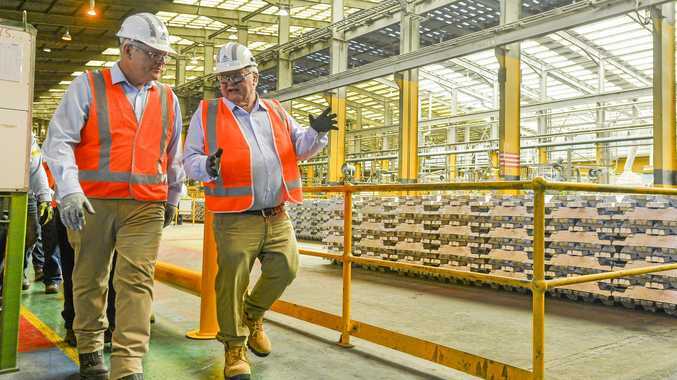 "But the problem is we have to deal with it, rescue groups and shelters, every shelter in Australia, there's not one that's not overwhelmed." To get involved with Rescue Your Fitness, visit their website or Facebook page.